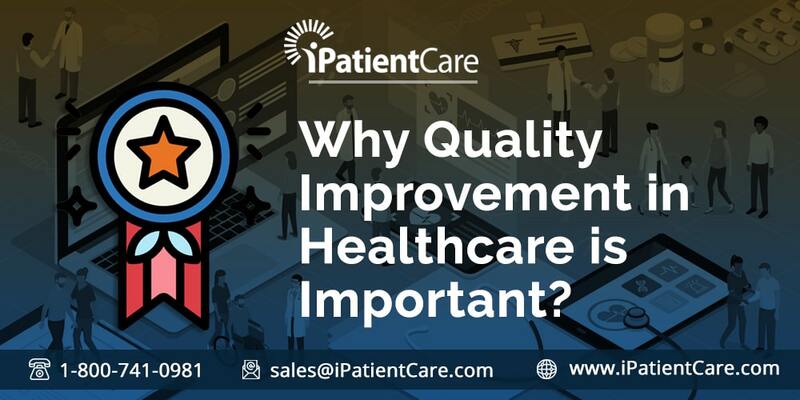 Why Quality Improvement in Healthcare is Important? Healthcare, safety, efficiency and equitability are few of the concerned facts which every human must remain aware about. With the improvement of technology and science, improving quality in healthcare has become important. The institutions dedicated to medical practices need to give high effort for healthcare services. Implying specialized methods for healthcare settings, the doctor office need to stream measurable improvement in the quality of healthcare services. As said, quality improvement is meant for enhancing safety, effectiveness, and efficiency which is achieved by deploying various methods. Both qualitative and quantitative healthcare improvement has become imperative. Healthcare features are becoming complex with time and the requirement of new and enhanced methods is becoming inevitable. This would reduce costs as well offer access to new technology. The main reason behind the quality improvement of healthcare is that, if the healthcare practice institutions are stuck with the traditional concepts with no further enhancements, it will fail in generating better results. Streamlining the changes into the system, a new level of performance can be achieved. Replacing the inefficient parts of the structures with new inventions can prove to be worthy. For the proven efficiencies, improved methodologies are implemented in healthcare on a global scale. Digital version of patient’s health record or simply the EHR- Electronic Health Records software renders real-time records that are patient-centred. The EHR contains medical and treatment histories of a patient. EHR system is prepared at the doctor office that goes beyond standard clinical data and features a broader view of the health standard of a patient. What Are The Aims Of Healthcare Improvement? Safety- It renders a protective shield that avoids the patients from injuries for the care. Effectiveness- Basing on the knowledge of science, the healthcare services are rendered as would be beneficial for the patient and avoid the services that are not profitable. Patient-Focused- The provided health-care is as per preferences of any individual patient. The requirements and values of healthcare ensure the patients with precise clinical decisions. Real-time- Quality improvement in healthcare reduces the time of lingering which may sometimes are harmful when delayed. Efficiency- It avoids certain wastes that include effort, idea, supply as well as equipment. Equitability- Basing on personal characteristics, the rendered healthcare quality mustn’t differ. What are the Benefits of Quality Improvement in Healthcare? Quality improvement in healthcare is important for basic reasons that enhance the readability of the patient’s health condition. The patient is discharged from the medical practicing Institute with an EHR that contains the history of the medical status of the patient, which is ultimately beneficial. The EHR of the patient reflects the health information of the patient to the individuals in the doctor office. As per the individual requirements of the patient, QI helps in yielding better results. Quality improvement in healthcare lessens the time of healthcare initiatives. Quality improvement helps in consulting the concerned specialist. Quality improvement in healthcare can help you improve your health services for individuals and population to increase the desired health outcomes with reduced costs.